MEASURE 1 INCH by 1 1/2 INCH, BLACK WITH WHITE LETTERING. THESE ARE PROFESSIONAL QUALITY CLOTHING LABELS. THESE ARE SEWN INTO GARMENTS. If you have any questions, just shoot us an email. 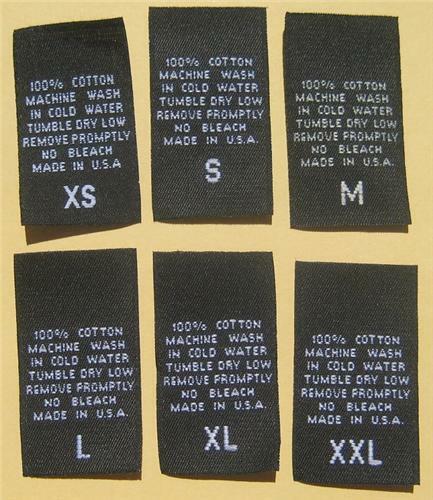 Also please check out our other quality woven clothing labels.